Week two is coming to a close and hopefully by this point you are close to the halfway point. I had a pretty slow writing week this week. I spent three days writing the same infuriating chapter and was so happy when it was done. It literally got to the point where I was just writing it to get done and reminding myself with every line that once November was over I could edit and rewrite to my heart’s content. Once I was done I was already past my word count goal so I gave myself a couple days to just breathe and then got back down to it yesterday. I’m hoping to get some serious writing done today. How has your week two been? Have you met your writing goals for the week? Maverick stopped suddenly, looking over at the door. Seraphina looked too and knew immediately why he had stopped. She could hear voices getting closer and closer. “Back to bed!” Maverick hissed and the children ran back to their bunks. Maverick clenched his hands the room was thrown back into darkness. Seraphina had just slipped under the blankets when the door opened and two men paused in the doorway. 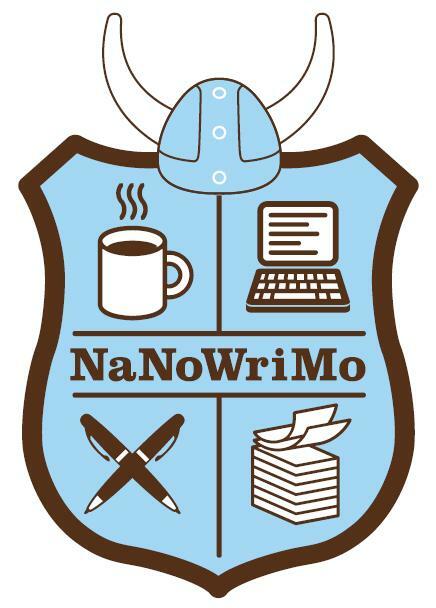 Come by NaNoWriMo and say hi! I hope week three picks up for you. 🙂 All the best. At least you’re still ahead with your word count.